Upcoming Classes - Register Now! Plan now to attend free classes at the Wisconsin State Law Library. We have a new website! Join us for a one-hour class showcasing the design, content and functionality of the new Wisconsin State Law Library website. Get reacquainted with website favorites, such as Legal Topics and article access and learn about new features, such as online document requests, Library Highlights, video tutorials and our county resources database. Thursday, August 20, 3:00 - 4:00 p.m.
Tuesday, August 25, 9:00 - 10:00 a.m.
Pre-register online for this class or print a registration form. Thursday, September 10, 9:00 - 10:00 a.m. Please tell us what additional classes we should offer! To make a suggestion, contact Heidi Yelk, Reference/Electronic Services Librarian. As June 21st was the summer solstice, welcome to the heart of summer. What's better than a picnic, some sunshine, and a good book this time of year? If you're looking for something lighter to read, the library offers a collection of legal fiction and movies relating to courts and the criminal justice system. Assistant district attorney Alex Cooper and her crew are drawn into the strange and privileged world of rich collectors, eccentric library trustees, and the treasures of the great New York Public Library after a librarian disappears and a woman's corpse turns up in the missing librarian's abandoned apartment. Six crime stories featuring Alvirah Meehan, a former cleaning woman using the $40 million won in a lottery to sleuth for justice. Also appearing is her ex-plumber husband, Willie. Deputy Sheriff Claire Watkins is faced with a difficult case when a friend of the family is suspected of killing his wife. Her investigation puts a great stress on her relationship with her husband. Things are further strained when the suspect attempts suicide, solidifying his guilt in Claire's mind. But what if she's wrong? O'Connor is caught in the middle of a gang dispute between the Aurora Anglos and the Ojibwe Reservation Red Boyz, a situation that turns deadly when the Red Boyz leader and his wife are found murdered. Includes the first and last case of the popular character, Miss Jane Marple. 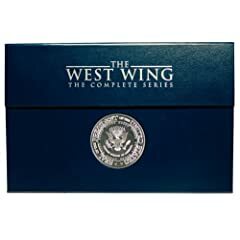 This boxed set includes the pilot script and a richly colored episode guide. Books and audio books in the Prose & Cons Collection circulate for 30 days; videos circulate for 7 days. Eligible borrowers may contact our Reference Staff to check out these and other circulating library materials. Please keep us in mind as a place to donate gently used legal fiction books, movies and TV shows. We’ll gladly add them to the Prose & Cons Collection for others to enjoy. The number of properties facing foreclosure rose about 21% in 2008 over 2007. That's according to a recent Community Indicators report on the topic from the UW Center for Community Economic Development. Are you or someone you know facing foreclosure? Our newest tutorial introduces basic Wisconsin resources for avoiding foreclosure and getting help. Watch Help! I’m Facing Foreclosure now. Keep up with new information on our website by subscribing to our RSS feeds. We offer feeds with updates on upcoming classes, new newsletters, new books and more. In order to take advantage of RSS, you'll first need to set up an RSS feed reader. A feed reader is the “mailbox” that receives all of your feeds. Latest-edition Internet browsers such as Firefox 3 and Internet Explorer 7 or 8 come with feed readers built in and ready to use! Many people use the free feed readers that are available on popular websites such as Bloglines, Google Reader, or My Yahoo! Others might use their favorite email client, or a dedicated RSS feed reader program. For more help finding the right RSS feed reader for you, see the RSS Compendium's extensive list. To get started, try this handy guide to using RSS feeds from our newsletter. The Milwaukee Legal Resource Center will be holding two free Westlaw classes on Wednesday, June 24th. A special class for attorneys only will be held from 12:00 - 1 PM. A general admission session will be held from 1:30 - 2:30 PM. Both classes will be held in the law library, Room 307 A of the Milwaukee County Courthouse. One CLE credit will be applied for. There is a limit of 8 per session so register early by stopping in the MLRC, calling 278-4900, or e-mailing Rebecca.Knutson@wicourts.gov.